We are a non smoking hotel. We have 4 rooms available to accept dogs.Under 20 lbs. There is a $25 non refundable fee per dog with a limit of 2 per room. Free deluxe continental breakfast daily. We have a unique variety of room types, some with Jacuzzi tubs and sofa sleepers. All rooms have hair dryers, irons/iron boards, fridge/microwaves. Near Historic Deadwood Gaming Casinos, Terry Peak Ski Area and Mystic Miner Ski Resort. Also near Mount Rushmore National Memorial, Crazy Horse Memorial, Custer State Park, Jewel Cave National Monument, Sturgis Motorcycle Rally and Spearfish Canyon National Scenic Byway. 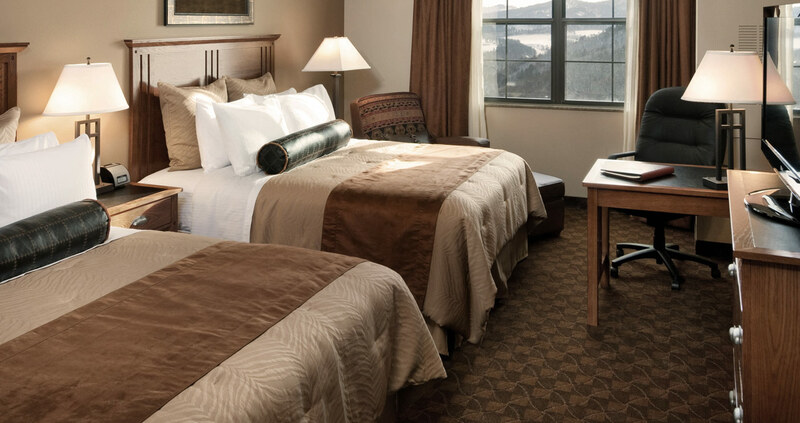 Stay 2 nights at the Blackstone Lodge in Lead and save 20% on your stay.